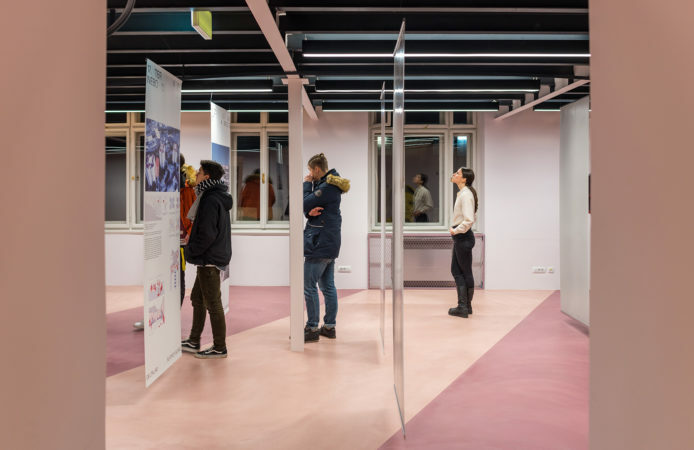 After its premiere in late 2018 at RiHub, the DeltaLab Presents Sweet & Salt, the exhibition will open once again on Thursday, 17 January at 6 pm at the premises of the Rijeka Architects Society. It is an exhibition that presents the activities of the Sweet & Salt flagship of the Rijeka 2020 European Capital of Culture project by showcasing to the public the architectural and urban planning concept proposals of potential temporary interventions in the Rijeka region. The concept proposals were devised by 16 architectural design teams, including some of the foremost names of the contemporary Croatian architectural scene (Nikola Bašić, 3LHD, Dinko Peračić, STUDIO UP…). The exhibition will be open until 14 February. Sweet & Salt is one of the 7 flagships of the Rijeka 2020 – European Capital of Culture project, whose activities centre around the conceptualisation and revival of the underused yet fascinating and alluring part of the city in the very heart of Rijeka. This is an area that follows the Rječina River (fresh/sweet) before it flows into the sea (salt), hence the name of the flagship. The devised and drafted concept proposals pertain to the following chosen locations in the zone of the Rječina River where Rijeka makes contact with the sea: Delta, Lungo Fiume, the Dead Canal, Školjić, the buildings of ex-Ivex and Exportdrvo and the entire stretch of the Molo Longo pier. The concept designs showcased at the exhibition are actually architectural ideas and envisioned concepts for revival, renewal and action at the aforementioned locations. Some of the presented ideas will be physically manifested at their designated locations in 2020 when Rijeka becomes the European Capital of Culture, while the others will remain a legacy that will come into fruition in the future. The authors of the showcased architectural proposals are esteemed and decorated teams of architects, designers and engineers from Rijeka and the rest of Croatia, as well as guests from abroad of various ages and areas of expertise. They have all displayed quality, modernity of expression and architectural authority in their past work and successful projects. As part of the Rijeka 2020 – European Capital of Culture project and over several months of workshops, collaborations and joint brainstorming with the DeltaLaba and Sweet & Salt teams, these experts have been creating visions for potential new scenarios utilising the selected locations. During the working process, they have done research on the architectural and programmatic aspects of Rijeka’s industrial heritage, the port and coastal areas and their potential. The concept proposals for repurposing the current areas, the envisioned pavilions and structures and a new mode of using certain locations make up the vision of the Sweet & Salt flagship. By actually realising these ideas, certain locations in Rijeka might become new venues of meetings, activities and events for all the citizens of Rijeka in just two years. The rest will remain endeavours and concepts that will be achieved sometime in the future. The project is conducted by DeltaLab – Centre for urban transition, architecture and town planning – a programme recently started by the University of Rijeka that addresses city, territory, infrastructure, environment and globalisation issues as foundations for setting up a regional centre for urban research. Damir Gamulin and Antun Sevšek, x3m, DeltaLab and Children House, BIRO, Ana Boljar and Ida Križaj Leko, SKROZ, Svjetlana Despot and Dinko Peračić, Iva Letilović and Igor Pedišić, Gorana Stipeč Brlić and the DAR Youth Section, Bevk Perović Architects, Katušić Kocbek Architects and Rožić Architects, STUDIO UP, 3LHD, Nikola Bašić, Tonči Čerina and Mia Roth Čerina and Platforma 9.81.